Think of George Washington and Thomas Jefferson—men for whom farming was a noble vocation, a vocation which blended with their many purposes for their estates. They were the proverbial “Renaissance men” who had understanding and competence in a wide and important variety of pursuits. 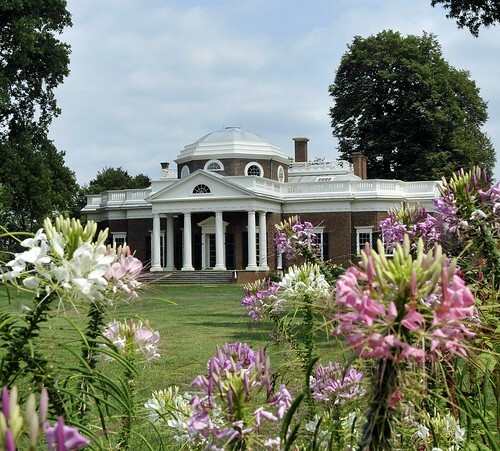 Their old Virginia estates were holistic places fulfilling diverse goals and influences. Research, education, hospitality, design, invention, statesmanship, and many other cultural accomplishments took place there. These men cared about their land and knew much about its husbandry. The working of the land was one of many facets in which they took interest, since it fit into their full-orbed vision for what was significant in life. For as far-seeing as Washington and Jefferson were, they still made effort to oversee their crops and herds—and in their mind the two areas were completely compatible, even complementary. Today, it is time to revive the concept of the gentleman farmer, or, as Joel Salatin has said, the “intellectual agrarian.” Small farmers need not despair over an underappreciated, seemingly-forgotten occupation…nor be led about by industrial conglomerates telling them how many chickens per square foot to squeeze into their factories. Agrarianism is the most ancient and most necessary of vocations, and is inexhaustible in its potential for further study and improvement. Farming is a career for the capable and the visionary, and is nothing to be looked down upon. Not a vocational farmer myself, I heartily appreciate the people who have been involved in growing the food I eat—especially the people I know personally. Undoubtedly, I understand that farming can be economically and physically trying, even almost impossible at times. I know this in theory, though not as experientially as some of my readers do. But the concept of the gentleman farmer…the Renaissance man…the intellectual agrarian….encourages me, and hopefully also the farmers among us, in the truth that profit lies in many areas. Farmers who do what they do while discipling their families can have no lack of fruit, as they all grow with and toward each other. Farmers who believe that their methods will steward the earth can have no lack of success, though one crop fails. The return of the gentleman agrarian is what our land needs: men and their families who will closely attend to their fields, spread their paradigm to many other people, and make their vocation into a springboard for building culture and building relationships. Not everyone will be primarily a farmer, but everyone can appreciate farmers, grow a garden of their own, and integrate the various aspects of their lives into a complementary vision for their estate. More and more people are returning to the land and returning to work at home—or, at the very least, sincerely appreciating those who do. Washington and Jefferson believed that agriculture was a wise and virtuous calling, and I think they were right. They certainly gave us fine examples to emulate. Great quotes; great article. I especially love the Benjamin Franklin quote (except for the commerce part ). My mindset has already changed; when I hear the word “farmer” I used to think of big tractors and rows of corn and soybeans. I now think of local friends that grow great food. Farming when seen in light of all it entails is an endeavor that takes as much, if not more, thought and planning as most any other vocation. Sadly the government has worked to place the farmer in a position of not only relying on it for its very existence but also for it viability in telling the farmer how it is to produce and who it is allowed to produce for. The result of this over time has been to place the farmer as mostly a hired hand of the state instead of the agrarian entrepreneur the farmer has been throughout most of history. It will take a cultural shift not only in the thinking of those farming but also society as a whole to see the ideas in the article take place. I think this is happening in fits and starts, but it is happening. We need to keep moving forward and while there will be set backs it needs to be seen that the battle is not just for the famer but also for the consumer who needs to see the great advantages of the farmer returning to his place as a viable vocation and a noble vocation at that. I think the concept has recently moved from “hobby farm” to one of “agrarian lifestyle”. We’re in a very marketing savvy world. The wording and marketing of a concept has dramatic implications on its adoption. However, it is something that takes a lot of work, and is not going to be easily adopted by our average short attention span American. We can barely wait for our coffee to brew – ergo the Kurig. The microwave steam in the bag vegetable is another example. Looking at the authors of these quotes, just about every one in the world at that time could understand and appreciate the quote, even if they might not agree. Today, we have millions (at least in America) that cannot even grasp the concept – to Arendtright’s comment about corn and soybeans. Who knows, the intellectual Agrarian may be relegated to the status of artist, or specialist, and become a protected class if we cannot get more people involved. By percentage, that may already be the case. I know for me, I am constantly looking for the technology to allow me a more relaxed farming opportunity – high tech fabrics for greenhouses, pvc and solar cells for remote pumps, automated chicken doors so I don’t need to remember to close up the chickens, and soil tests and compost tea fed by sprinklers. And the internet, and the weather channel. All amazing technologies that are free or cheap, theoretically allowing us to be better farmers than our ancestors. In its forty-year history, the cubicle has become the “icon” for “soulless” and “uninspiring” work. But is that the way our work was meant to be? Dilbert and The Office provide great comic relief, but is humor our only option in escaping the soul-suffocating reality of meaningless work? Get out and get dirty. The fresh air will do all our political leaders much good. robwok, I hear you. We are trying to leverage what we can as well, while still having a natural setting. Great article – we visited Mt. Vernon a couple years ago – very inspiring and I can see why Washington never wanted to leave. Good dirt, thick woods, a hillside view, friends dropping in – what political office could possibly satisfy as deeply? But he was called to lead the new nation so I’m glad he did deny his first desire. But he was so successful because he loved land first and political office as a very distant second. Interesting quotes! Thanks for the blog post. I am not sure I agree with Benjamin Franklin’s comment though: The second by commerce, which is generally cheating. I wonder what the background was surrounding that thought was. Commerce has been around since the earliest recorded history. We definitely need more people to return to small-scale sustainable farming, and actually the trend I am seeing is that MORE young people are leaving the city to start farming. It is definitely a positive trend. When Jefferson was president, 90% of Americans were involved in agriculture. When Lincoln was president, it was about 50%. Today, less than 1%!